It’s easy! Before wiping the data from your phone, please follow the instructions below to remove iCloud from your device. 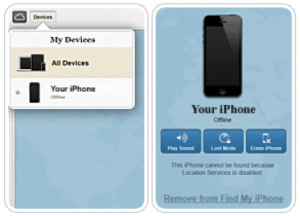 *Device must be switched off and appear as ‘Offline’, otherwise the ‘Remove from Find My iPhone’ option will not appear. If you have recently switched your device off, you may have to wait a few minutes for the device to switch to ‘Offline’ status. 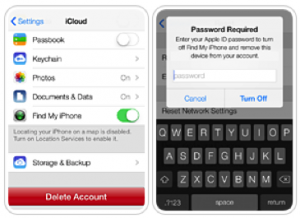 Activation Lock is only applicable to devices that are running iOS7.